The Best Low Sodium Beef Jerky Recipe You Can Try at Home! If there is anything pure and healthy, to add to your diet, it is the low salt beef jerky. It is true that jerky is greatly enjoyed in most parts of the world, either as the side meal or as a snack and among so many jerky recipes, rare are the ones who are devoid of excess salt. the problem is that jerky is made out of traditional preservation techniques and that requires salt as a necessity. 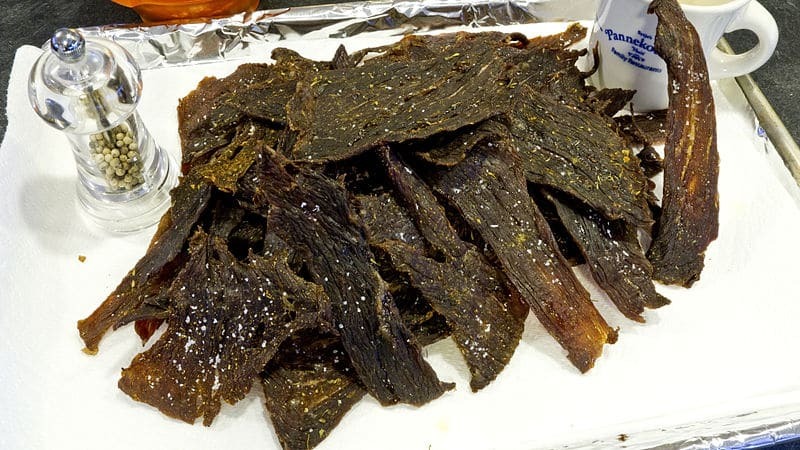 While keeping into consideration the concerns of people suffering from high blood pressure or other sodium-related disorders, I am bringing you a low sodium beef jerky recipe with much less salt and consequently far less sodium content. Now you don’t need to worry about the sodium levels while taking a bite it. The great part is it does not taste any less tasty than the jerky full of sodium. Ever since I read about the harms of excess sodium intake, I became more careful than ever. So much that I even stopped having meat jerky at all. Cutting off salt altogether from the recipe was not working for me. I wanted to enjoy the same old meat jerky, with full of flavors. Through days of searching, I finally got my hands on this recipe. And to my surprise, it tasted even better, and the sodium content was also quite low. With the use of other spices, I even omit the salt at times, and it still tastes great. This recipe sure will meet the needs of all the health-conscious individuals, but it can also serve best the needs of a foodie. I myself was so satisfied with the outcomes of this low sodium beef jerky recipe. It was so close to the one my mother used to make when we were kids. Still today, I have this recipe, but I had to switch to a low sodium one considering the health concerns of me and my family. This new recipe is great for everyone dealing with hypertension and high blood pressure. You don’t always need a huge amount of salt to preserve the food; there are several other ways to restrict sodium. Store Bought Jerky – Never a Good Idea! This is not the first time I will be answering to this query since many of the people have already asked why we should go all through this trouble where we can easily get store packed jerky at any time. Keep this fact in mind! Commercially produced meat jerky is full of salt, and they use excess salt for longer preservation of the meat. However, jerky can also sustain long without the salt, if the marinade is made with other ingredients in combination. Using a large amount of salt for preservation may suit well all the commercial benefits but it ruins the nutritional value of the jerky and eating such dehydrated meat is as bad as slowly poisoning yourself. 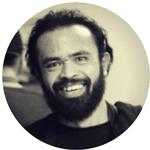 A far better option for anyone either healthy or suffering from health complexities is to keep it safe and make a no salt beef jerky to enjoy it all the time. There are two methods of making beef jerky. You should have enough time to keep an eye on it while it is dehydrating. Weekends are probably the best to make some jerky and store it for the rest of the week or two. Both the methods require an equal amount of cooking time, it all depends on either you have the right appliance for it. 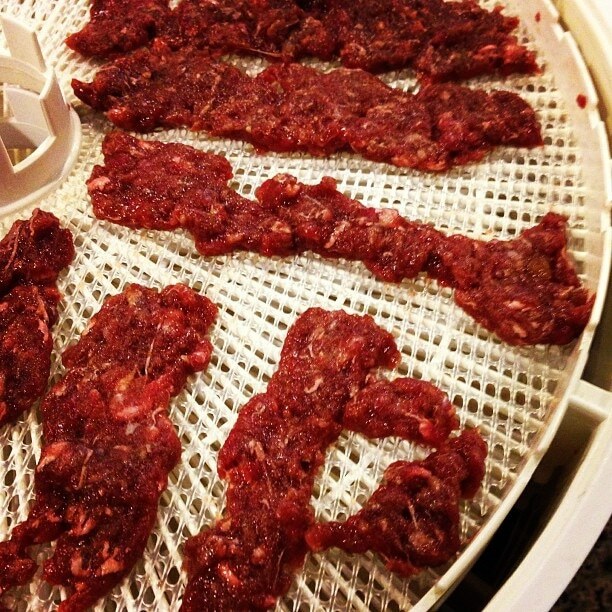 Most dehydrators are used to make a nice jerky. As they maintain perfect temperature and time for the dehydration process. However, not everyone owns a dehydrator, so oven can also be used to the same purpose. As long as the temperature setting is kept at the lowest, the oven can make as good of a jerky as any dehydrator can. Each of these appliances requires different techniques to set the dehydration process in motion, so here is a quick review to have some idea of use. After cutting, slicing and marination of the beef, the use of dehydrator comes into play. 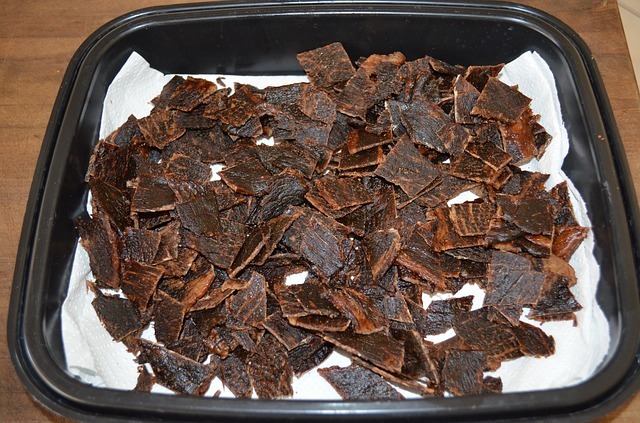 To make jerky in a dehydrator, it is important to at least marinate it overnight. However, if you don’t have time to wait around then here is another secret to infusing flavors deep into every grain of the meat. First slice the meat into 1-inch wide pieces and set them aside. Meanwhile, boil water in a pot along with half of all the beef jerky seasonings that are used for marination (later discussed in the article). Keep boiling this mixture then add those sliced beef strips into this seasoned water. After cooking these strips for 2 minutes in this water, transfer them to a plate lined with a paper towel and drain all the excess water. Sprinkle the remaining half of the seasonings over the strips and use a spoon to spread and press the seasoning over the beef strips well. Now you will place these strips over the dehydrator’ rack with small spaces between them. Generally, it takes about 130 degrees F to dehydrate the jerky. However, the size and thickness of the slices and time of marination greatly affect the cooking time. So, it varies from recipe to recipe. Usually, it would require 5 to 6 hours at most in a humid climate. If you haven’t used a dehydrator yet, then I would like to share some of the additional tips here. Firstly, keep an eye on the things dehydrating inside. Even though the machine is well controlled by its timer and the temperature settings but without constant supervision, the meat can get too dehydrated or stiff. Secondly, clean the dehydrator plate thoroughly right after every session of dehydration. Avoid adding excess liquid or water while dehydrating the meat; it is always recommended to shake off the food to release all the excess material before setting it on the dehydrating plate. Else it can mess up with your cooking time. The boiling method is not usually used when you make jerky using an oven. Marination is most important in that regard, however. It takes at least 24 hours for complete absorption of the marinade into the beef. 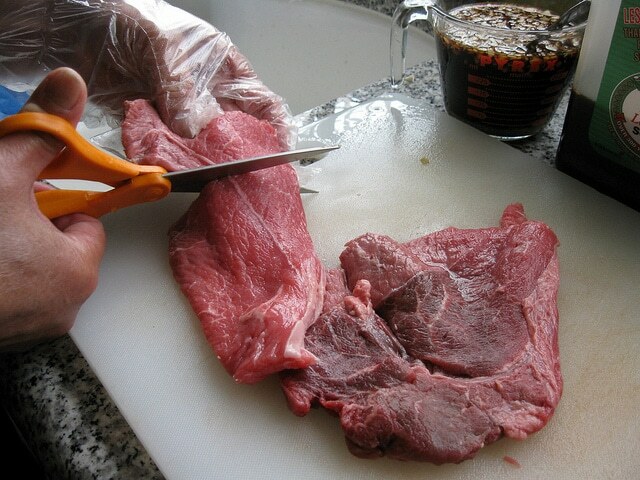 Keep the slice size and thickness 1 inch while cutting the beef. After marination, pat dry the slices and arrange them on a rack. Keep this rack on a baking sheet then insert it into a preheated oven for 5 minutes at 350 degrees. After that reduce the temperature to 150 degrees F and let it jerky dehydrate for 5 to 6 hours. At this low temperature, the beef will slowly release all the moisture in the air without losing its essential nutrients and minerals. 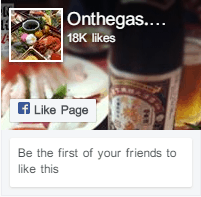 It is basically controlled cooking of meat at extremely low temperatures. Making beef jerky in the oven is a tricky business, it requires great care and efforts to get the final product. That is why I do not recommend oven to make the beef jerky, especially if you are making it for the first time. when you dehydrate the jerky in the oven, there is always a risk of overcooking. The oven is a closed vessel which is not quite suitable for dehydration. However, it is a good option when you do not have a dehydrating plate at home. It is always safe to use the dehydrator and cook at extremely low temperatures. Set the temperature and time exactly according to the grain and thickness of the meat. Cutting against the grain gives an appropriate texture to the beef jerky. 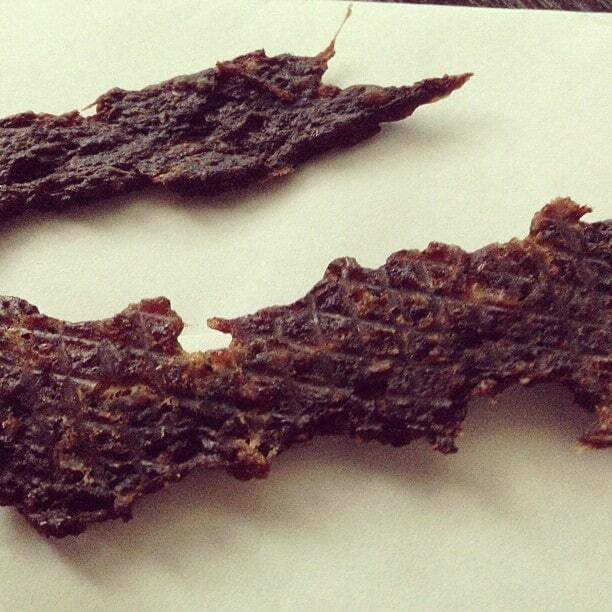 Healthy beef jerky can be as simple as making any other all-time snack. Ever since I had embarked on my way to find a Homemade beef jerky recipe, I found this one in particular suitable for all taste preferences. Pineapple juice is my personal favorite, and when it is absorbed into the meat along with spices, it turns out far more delightful. The meat must be frozen for few hours before you start making the jerky. 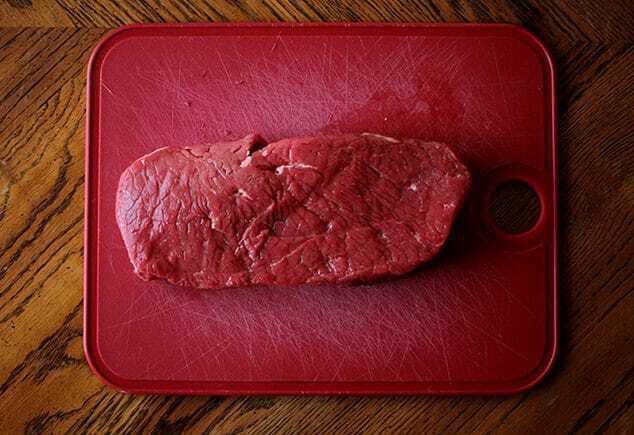 This keeps the texture of the meat perfect for easier slicing. Now take the meat and place it on the cutting surface. Use a sharp knife to cut it against the grain into ¼ inch thin slices. Cutting against the grains gives more tender and soft meat jerky. Whereas when you cut it with the grain, it gives ‘tough jerk.’ Make sure to remove all the ligaments and fat while cutting the meat, as fat can spoil the meat after cooking. Keep the meat aside for a while and meanwhile finely chop the garlic and fresh herbs. Add all the spices along with pineapple juice to a big bowl or any large container and mix them well. Now place the sliced meat strip in the marinade and cover the container. Let it refrigerate for the whole night for marination. For those who use the oven for dehydration of the meat, should line the bottom of the oven with tin foil. Otherwise, the drippings from the meat will produce unwanted smoke and mess inside the oven. The dehydrator is a better option, and it is perfect for making jerky. Drain the marinated meat and start laying its strip over the dehydrator racks. Leave enough space between the strips to allow air circulation. Set the dehydrator at 165 degrees C to slowly dehydrate the meat. Flip the meat after 3 hours and continue dehydrating for 6 hours. For oven set the lowest temperature settings, about 170 degrees C.
The time for dehydration depends upon the climate, at most should take 6 hours approximately. You can check the doneness of the jerky by bending it. if the center remains connected while it snaps, it means that the jerky is ready. Whereas if it bends without any snapping then let it dehydrate for some extra time. Also, avoid over dehydration, this can fossilize your meat, and it will break into two pieces upon bending. When the meat jerky is done, place in paper towels to absorbs all the moisture. Place it in an airtight jar and refrigerate. Enjoy it within two weeks after making the jerky. Use extra seasoning or sauces when you serve the jerky. 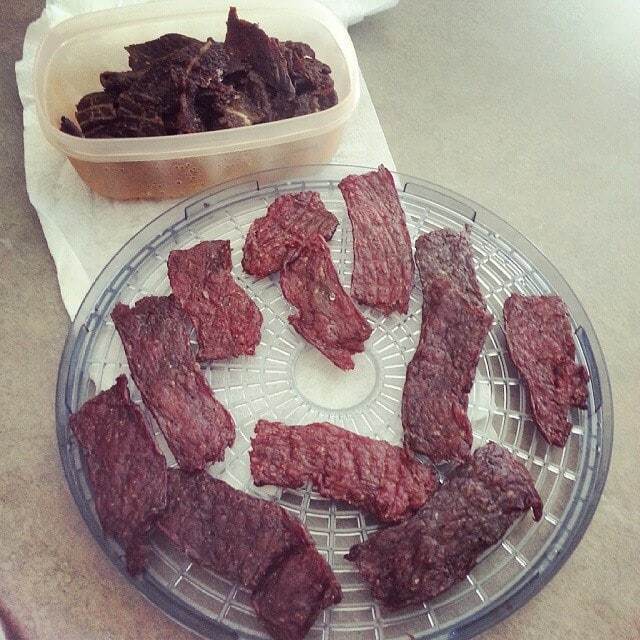 Always store the meat jerky in a clean and airtight container, no matter what recipe and the method of dehydrating is. Only proper storage can prolong the life of the jerky while keeping its taste fresh and inspiring. A low sodium jerky is made out of lesser salt, so it should be preserved with greater care. Do not leave it outside even for half an hour during summers or at any room temperature. Trust me! You would not like the taste of spoiled beef jerky. It is never healthy and never delicious. Low sodium beef jerky is a good snack and side for a meal. It is great to have it ready in your refrigerator for a crunchy and juicy delight. Where market bought jerky is always full of sodium and other preservatives, making it at home is always a smart move. As of now, you know well how to enjoy its peculiar taste with a very simple low sodium beef jerky recipe right at home. Pineapple juice is just another tasty twist to the Jerky; however, you can go with lemon, orange or any citrus juice. Some people find pineapple juice too sweet, that these alternatives are great for them. Meat jerky is a direct and clean source of protein, most of the health-oriented diets do not restrict such an intake, so it is best to keep them ready at home for constant protein intake. Gear Yourself up to Make the Finest Beef Bacon at Home!